The word 'photo booth' often conjures up images of a box with a curtained door, where people step inside, pose for the camera, and then wait for their tri-photo print to pop out of the machine. The first curtained booth was invented and introduced to the world in 1925 in New York, and since then, photo booths have evolved to become a whole lot more than a camera in a box. While traditional photo booths still exist today, there are a wide range of offerings that take the photo booth experience out of the box. TapSnap's open-air, digitally-integrated and fully-customizable kiosks add a modern twist to the photo booth fun that we've grown to love. Here are 3 ways to capture out-of-the-box photo booth pics at your next party. 1) Ditch the props and go digital. With TapSnap, your guests can add digital props to their photos with the touch of the screen. 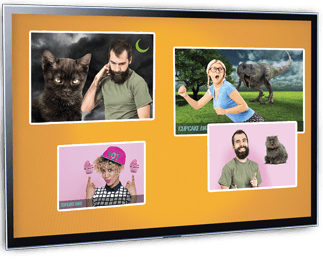 They can also add animated backgrounds or create animated GIFs (4 poses combined to make a short video montage) to bring their party photos to life! To add your own flavour to this fun party favour, create your own customized logo or photo border to personalize your party pics. 2) Put the poses on hold and capture candid shots. Photo booths are perfect for capturing those picture-perfect poses, but adding a roaming Social Photographer to your photo booth package is a great way to snap those candid party shots too. 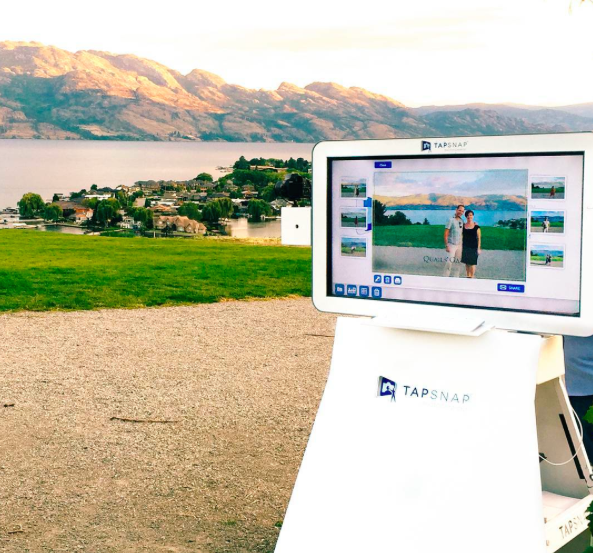 TapSnap's Social Photographer is an event add-on that will round out your party pics, giving you an even better range of photos to commemorate your special day. 3) Bring the photos outside of the booth. TapSnap offers an event add-on called SnapCast - a live, crowd-sourced slideshow display which features the photos snapped on a website that can be viewed anywhere from a computer, or broadcast on screens around the venue. This is a great way to share the event with guests who can't be there in person to enjoy the action, or to show a photo montage to the guests who were there to participate in the photo fun. With TapSnap's digitally-integrated system, guests can also share their photos directly to their social media platforms or via email with the touch of the screen. 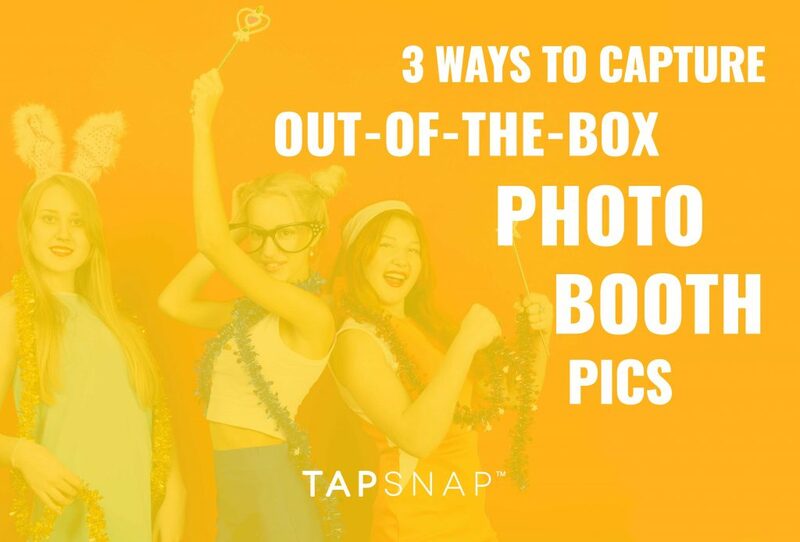 Don't just rent a traditional photo booth for your next event, bring your photos to life and take the booth out of the box with TapSnap. Our unique features will ensure that your guests have a good time, and that your event is captured successfully through high-quality photos that can be printed or shared online to keep the memories alive forever.